YES, R&G WAS SUPPOSED TO STOP WITH XXV, but some people can’t count!! Friday July 26 Golf….Course to be determined around 1:00 PM. The price for this event is yet to be determined. 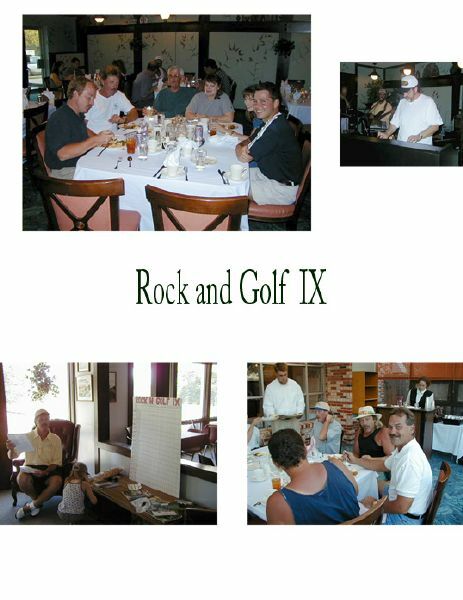 WELCOME TO THE ROCK AND GOLF INFOPAGE! 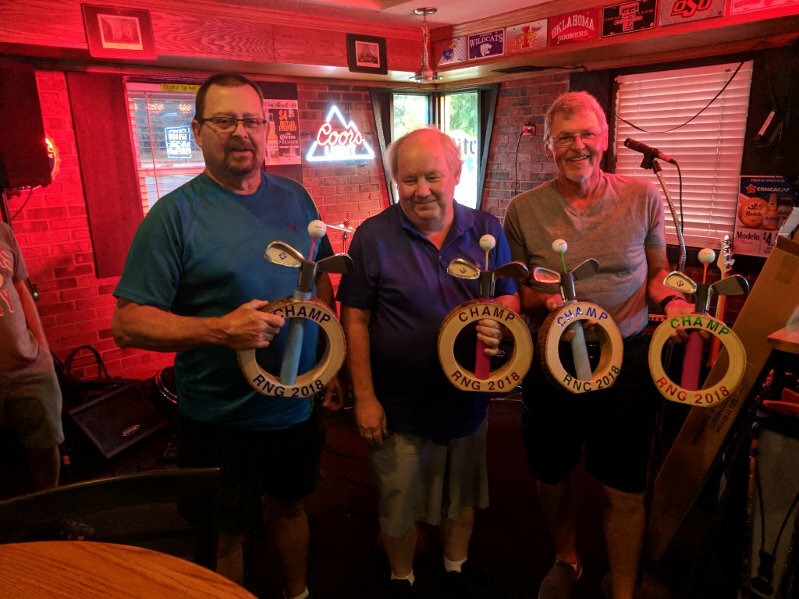 Herein reside all the sacred statistics and trivia related to the world's only annual Boogie and Bogey Crusade. 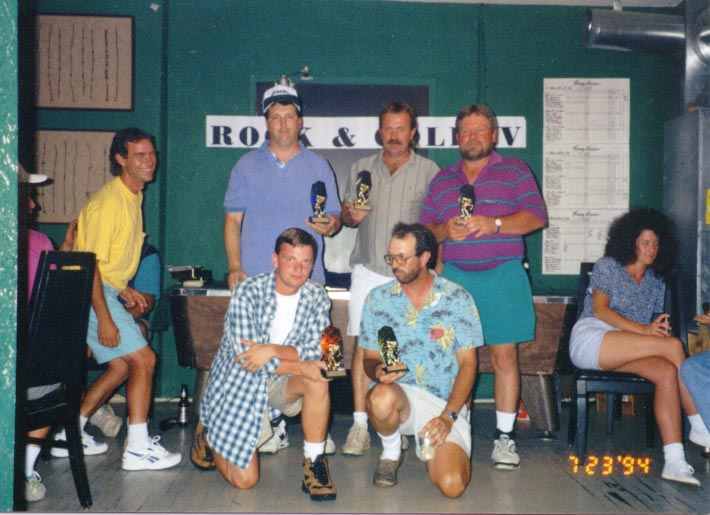 Rock and Golf began in 1991 as a birthday bash, rock and roll reunion and over the years it has evolved into the mediocre event it is today! Feast your eyes as fantasy collides with the reality of cruelly advancing years. Let's start with the locations. 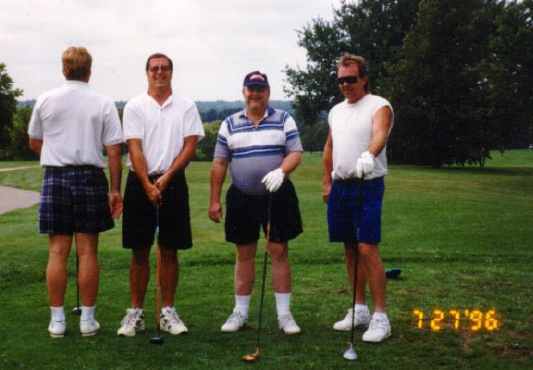 1994---Golf at Overland Park Golf Club---Rock at the Peanut---K.C. 2010---Golf at Tiffany Greens, KCMO --- Rock at Embassy Suites near the course. 2011---Golf at Iron Horse Ashland NE (89 F) --- Rock at Crown Plaza Omaha NE. 2012---Golf at Stone Canyon, Blue Springs, MO (99 F)--- Rock at Hilton Garden Inn, Independence MO. 2013---Golf at Stone Creek, Omaha, NE (74 F)--- Rock at Sheraton Omaha, Omaha (duh) NE. 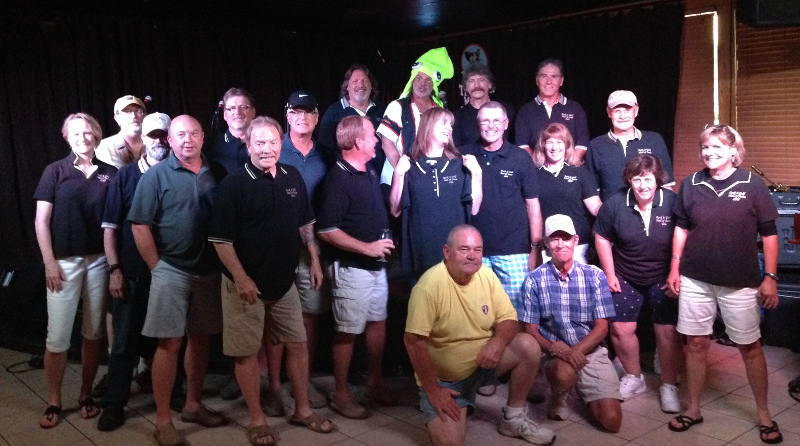 2014---Golf at Stone Canyon, Blue Springs, MO (90 F)--- Rock at The Trouser Mouse, Blue Springs MO. Apologies to Mark (Mike) Johnson, a winner in 1996, not Mary (or Mark) Johnson. In the future, each team will have a "MARY JOHNSON" i.e. the least effective of the group. At last we've corrected the Johnson issue. "Mark Johnson"apparently refers to tattooed genitalia. * Denotes the Salisbury Rule--Rule 1a in the official rules of Rock and Golf: Whereas a member of a team cannot finish the round, the remaining members of the team may not make up the strokes or loss thereof from said absent members inability, refusal or inebreation to complete the prescribed number of holes making up the Rock and Golf Championship.